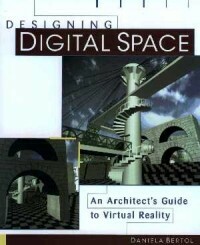 The Complete Guide to Virtual Reality in Architecture and Design The first in-depth book on virtual reality (VR) aimed specifically at architecture and design professionals, Designing Digital Space steers you skillfully through the learning curve of this exciting new technology. Beginning with a historical overview of the evolution of architectural representations, this unique resource explains what VR is, how it is being applied today, and how it promises to revolutionize not only the design process, but the form and function of the built environment itself. Vividly illustrating how VR fits alongside traditional methods of architectural representation, this comprehensive guide prepares you to make optimum practical use of this powerful interactive tool, and embrace the new role of the architect in a virtually designed world. Offers in-depth coverage of the virtual universe—data representation and information management, static and dynamic worlds, tracking and visual display systems, control devices, and more.